The House at Eagle Point represents a collaborative effort originally designed by Ric. 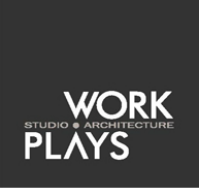 Abramson AIA as a partner in the firm of David Gray Architects, Santa Monica. Located in a rural, forested site in Oregon the house distributes vertical programmed space within three towers, one of concrete block, one of cast-in-place concrete, and one of glass. Its small footprint stemmed from a desire to limit disruption of the surrounding woods and to speed up construction because of a short season for building. Within a densely wooded site, the glass tower becomes a beacon at night marking the way home from the air for the owner who commutes back and forth via helicopter. The house is a highly sustainable, very low maintenance solution that embraces nature, protects from the harsh elements and also poetically serves as a waystation sanctuary space within an isolated forest in which it is set.